Before I started Banting I ate a vegetarian low fat high carb diet, based on whole grains. I was morbidly obese for over 20 years weighing over 139kg. Then I heard about it from some followers of the paleo diet that the official dietary guidelines could be wrong. What happened next was I started eating animal protein again, increased fats and stopped eating low fat products, stopped eating grains and all wheat products. 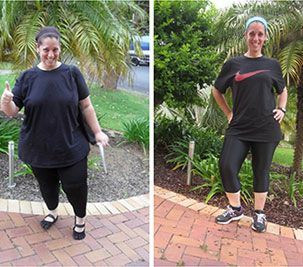 And now I am healthy and fit at around 80kg, retrained and work as a food coach and counsellor for obese clients wishing to lose weight eating real foods only. My final comment on Banting is that it is saving lives and changing the way the world sees nutrition. Thank you for the courage to challenge the system and spread the truth. Prof Tim Noakes, you’re an inspiration.